We’re all used to seeing and using “Emojis”. They have become part of our everyday language, communicating so many different emotions, moods, feelings and opinions. 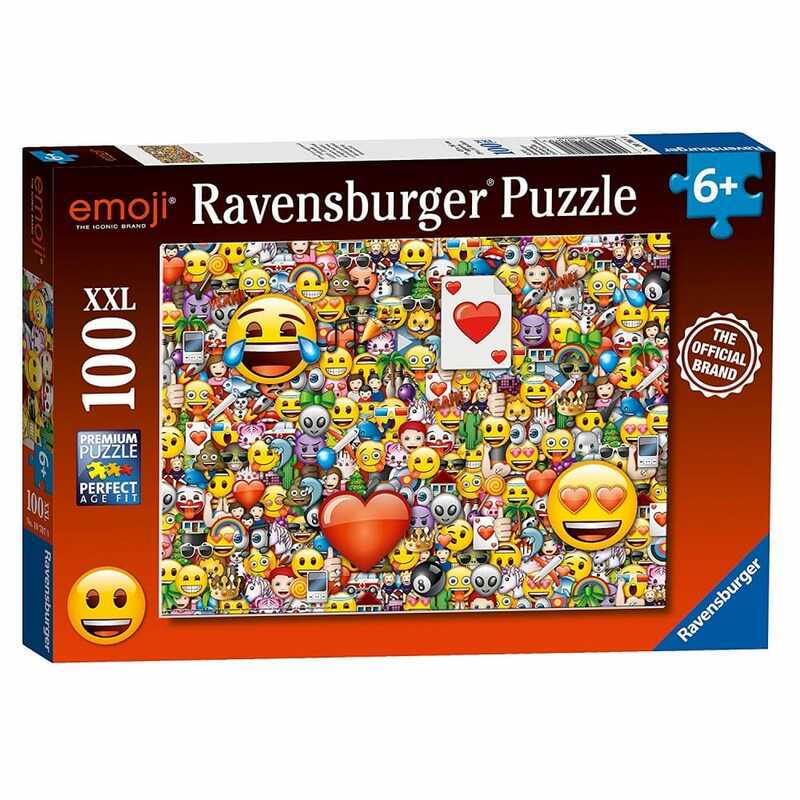 This bright, colourful and wonderfully busy 100pc puzzle design includes masses of different “Emojis”for you to enjoy, building into a fun-packed montage that can be enjoyed time and time again. Suitable for anyone who prefer puzzles with large pieces. High quality 100 piece cardboard jigsaw puzzle with Extra Extra Large pieces. The finished puzzle measures 49 x 36 cm when complete. Suitable for ages 6 years and up. Made from strong premium grade cardboard, with linen finish print to minimise glare on puzzle image.